There are few things that touch off more firestorms than speculation. Speculation is easy; any drunk hanging out in front of a local Dunkin Donuts can do it. But that shouldn’t automatically invalidate all speculation. You can, for instance, look at the clouds in the evening and guess you’ll need an umbrella in the morning. That’s not the madcap rantings of a person ideologically committed to morning umbrellas, but the rational thought process of someone who’d rather not get wet on the way to work. You can apply such rationality to geopolitical speculation as well. It’s important not to get too specific – assigning timelines and trying to foretell specific events is invariably doomed to failure. Just as you might guess the next morning will have rain based on the clouds in the evening, you also probably know better than to go bandying about how rain will arrive at 7:13 AM. You know a general forecast; that’s good enough to make a rational decision. But we have a great deal of difficulty doing this with countries. And that’s because we keep thinking countries are like the people we know. We all make the mistake of thinking countries act like the people they consist of. After all, our leaders are sometimes dismayingly human: they lie, cheat, have affairs, and make all sorts of bad decisions that make us very upset. It’s such bad decisions that make us think countries have complete command of their fate: when our Masters of the Universe financiers helped lead us to financial collapse in 2008, it seemed like the crisis was caused by the wretched decisions of Wall Street and the financial sector in general. They kept double downing on risky transactions, which one predictable day blew up in their faces. Thus it seems that if we’d only had better leaders, we might have avoided the Great Recession. But I’d say that’s missing the point, especially when thinking geopolitically. When viewing the financial collapse as financiers leading us over a cliff, focus on the cliff. Because if there had been no cliff, there would have been no crisis. 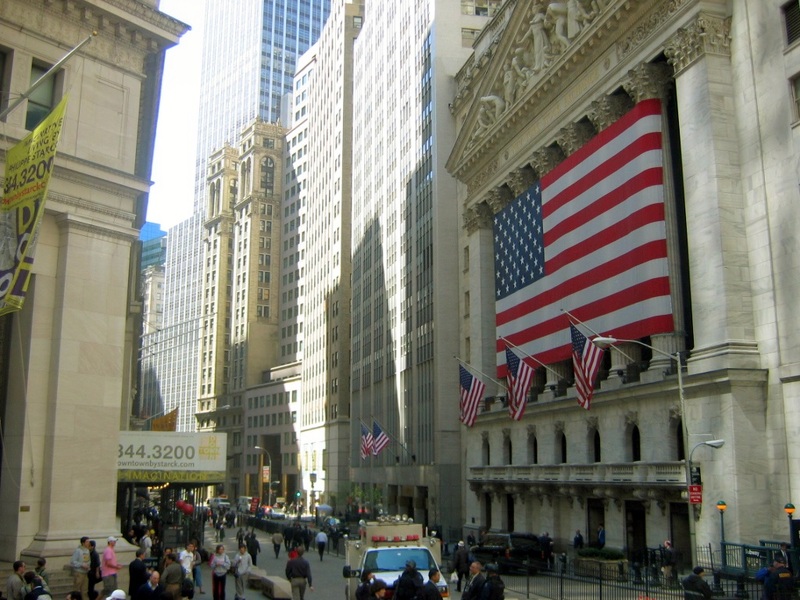 These guys didn’t invent the Great Recession: they discovered it. Which builds our understanding as to how we can predict the behavior of nation-states. Think of good leaders as those who see such cliffs and take the right action to avoid them. Think of bad leaders as those who don’t or, worst of all, won’t. Neither of them control the cliff; it exists regardless of what they think or do. They are presented with a choice of how to solve the problem, and the divide between good leadership and bad leadership is driven by the results of said choice. Geopolitical conditions are such physical limits. The American president may be the most powerful man on Earth, but geography prevents him from being able to conquer the world. He must measure his power carefully, use it when it will be most effective, or he will be consigned to electoral defeat or the dustbin of history. He must, in other words, find creative solutions to the many, many cliffs that he encounters. So when we think about the destinies of countries, we must think about their physical limits. Last week North Korea threatened to wage open war on South Korea, which makes just about every Korea watcher ever so tired. The North keeps talking the talk but failing to walk the walk, and in each of these crises, one begs the question, how does this end? To understand, we must think of North Korea’s limits, and how they will define North Korea’s eventual demise. First off, why must North Korea die off? Well, because it’s a buffer state, and buffer states only survive as long as someone sees reason to prop them up. North Korea was a base for the Soviet Union to conquer the whole of Korea, which would have been a fine place to threaten American-occupied Japan. But when overt conquest failed, the USSR and China decided to turn North Korea into a well-armed and fortified buffer state separating American power from Chinese and Russian borders. (North Korea has a very small border with Russia, which in Cold War days would have been a strategic goldmine). When the Soviet Union collapsed, most of its buffer states went with it. But not North Korea; unlike the Warsaw Pact, North Korea still had a sponsor. China didn’t want Korea united under what might well have been a pro-American state. So instead of letting the End of History take its course, Beijing provided Pyongyang with life support. 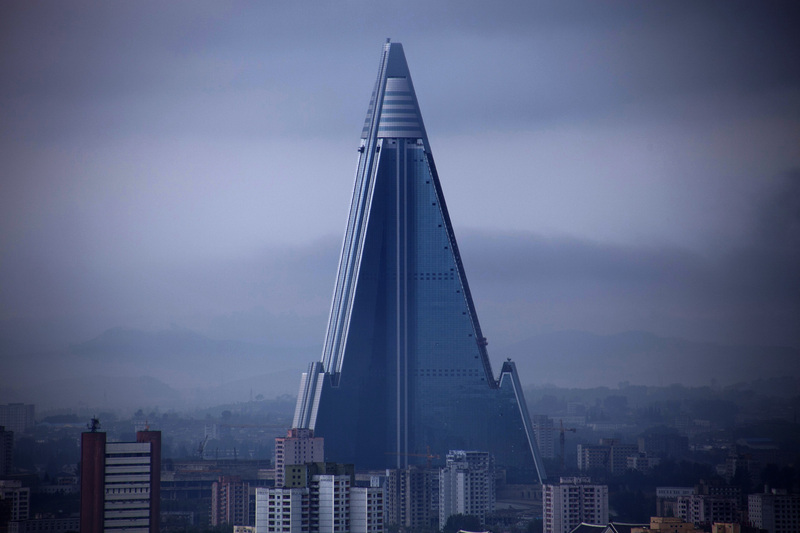 This didn’t allow North Korea to prosper as it did in its heyday in the 1960s and 70s, but it did give the regime the ability to survive the famine of the 1990s. So long as there is a rivalry between the United States and China, North Korea has value to the Chinese. But if the U.S. and China go from rivals to allies, or if China bungles its rise to superpower status and succumbs to the rules of Dynastic Cycles, North Korea will lose strategic value and collapse. One of those scenarios must come true: a permanent rivalry between the U.S. and China is impossible. Such rivalries are expensive and dangerous and therefore often short; we’re not talking about another hundred years of North Korea. Either one side will collapse (and the smart money remains on China, though that’s a different article), or both sides will realize geopolitical competition doesn’t serve their interests. The two historical models are the Cold War and the U.S.-Britain relationship; in the former, the USSR and the U.S. competed until the Soviet Union exhausted itself and fell apart. In the latter, the U.S. and Britain competed until it became clear they had more to gain from cooperation. Regardless of the outcome – nice or nasty – like the two halves of Germany and Vietnam, North Korea will collapse once its foreign sponsor no longer sees need for it. But that’s not the only thing that could happen, and here’s where things get ugly. Nobody should count out North Korea’s bad leaders from making disastrous decisions. In neighborhood terms, this is like the old resident who absolutely refuses to evacuate before a hurricane, and drowns predictably. Should Pyongyang’s leaders fail to read the tea leaves appropriately, they too could drown as well. Some of those tea leaves are obvious. North Korea can’t wage a war with South Korea and its allies and win. 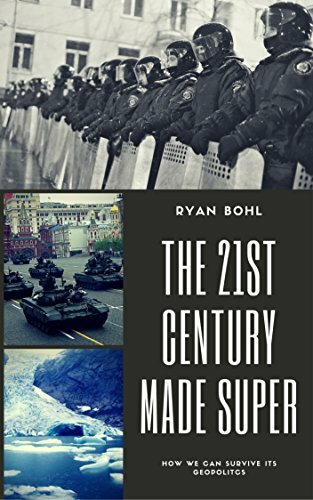 North Korea’s army is still largely Soviet in make-up, and we know that Soviet strategy hinged itself mostly on the Soviet Union being huge in both land and population to make up for its shortcomings. North Korea can’t hope to wear down its enemies through attrition; its small size means it’s a month-long conquest for the superpower. Nor can North Korea lose Beijing’s favor. This is where things are getting wobbly: it’s not wholly clear the young Kim Jong Un understands just how key China is to his survival. He’s tested nukes against China’s wishes and the PLA has deployed troops to his border. In 2009, Wikileaks even reported that China was trying to convince the U.S. it was prepared to push a coup to remove the Kim dynasty should they get too erratic. That may have been to placate the Americans, but it’s also a solid strategy for a genuine need. Thus the analogy of a madman driving a rusty, old truck is apt. On a long enough timeline, the truck will break apart from abuse at the hands of such a madman. That is assuming, however, the madman doesn’t drive it over a cliff or into a tree first. 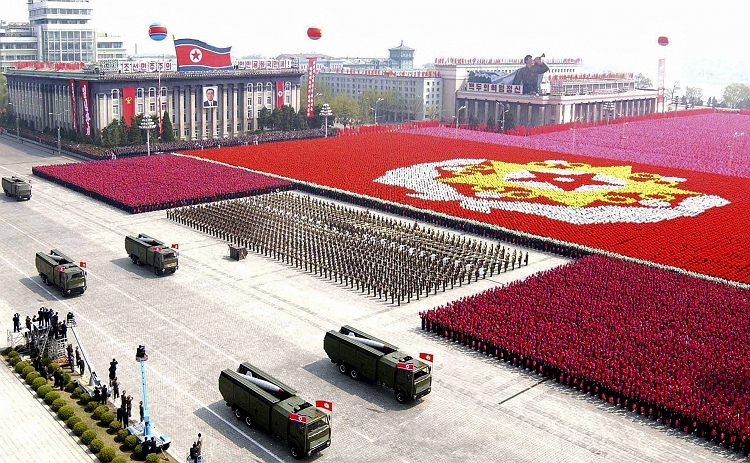 This is a worrisome destiny for North Korea: is the regime still dominated by rational people? Or are the purges carried out by the young Kim Jong Un rendering it an increasingly bizarre place full of extreme yes-men? Is the emperor, in other words, still wearing clothes? This is a deep and troubling unknown. We can only guess from the regime’s actions where its thinking still lays. Thus far, it’s been willing to ratchet up tensions in exchange for negotiations, even at the expense of relations with China. Such bluff can’t last forever; invariably, a government in South Korea will tire of those kinds of antics and refuse to respond. That will be a critical moment for the regime: will they be willing to start a war they can’t control, or will they suddenly implode under their own ineptness? Within North Korea, there are doubtless forces that understand the country’s position and future. Some of them may be close to the regime; others may dream of replacing it. Should they try to remove the Kim government, they could spark a civil war or revolution that might easily go nuclear. With the Kim regime growing increasingly willing to risk alienating China, it seems the collapse scenario is the most likely one. As China now experiences its own economic downturn, Beijing may not be able to afford the necessary subsidies for North Korea. That could force the Kim regime into a crisis: should they make the right decisions, they’ll go the way of East Germany, peacefully reuniting with the South. Or they could go the way of Yugoslavia or Syria, with rebellions turning to civil war and genocide. Peacefully or not, the Kim regime won’t be around much longer. Next Next post: Delayed ’till Wednesday!